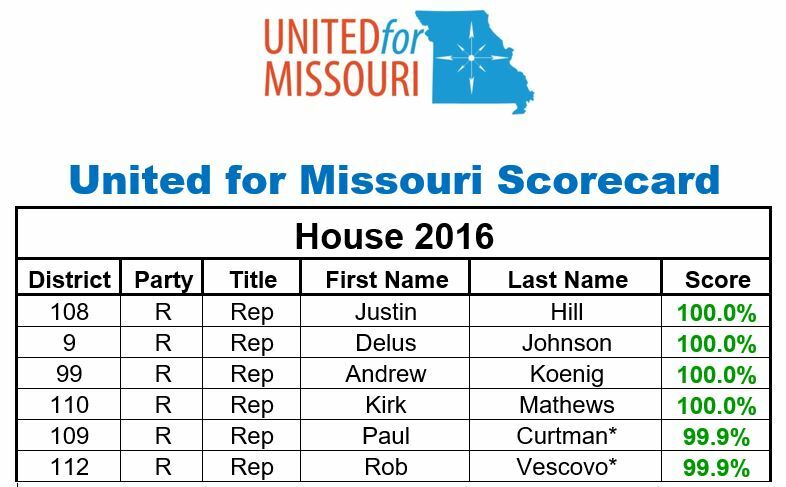 The 2016 Legislative Scorecard is now available. The bills are assigned weighted values. For example, HB1891 Paycheck Protection and Medicaid Expansion votes carried the highest weighting. Veto Override votes are subject to being rated and the scorecard updated. Absences are not counted against legislators on bills that were scored but the value of that bill’s score is subtracted from the total score available. No one with an absence on a scored bill can receive a 100% score as they did not vote on all bills. We are currently working on reporting absences in relation to the bills that were rated. For example, we will be able to tell you that on the day a rated bill was voted on and a legislator was absent for that vote, how many votes they missed on that day. A brief description of and the vote necessary to obtain the maximum score on a bill can be found in 2016 Scorecard Bills. Last year there were eleven (11) House members who scored 100% and four (4) more who would have received 100% if they hadn’t been absent on a vote. This year, there are only four (4) House members who scored 100% and two (2) who would have had it not been for absences on a bill or bill(s). One bill in particular was the cause for six (6) members not getting 100% and two (2) others from getting 99.9% (absences). Senate Bill 919 was a bill that was seen as pitting local craft brewers against the beer giants. Those voting NO believed they were protecting their local constituents (craft brewers) by maintaining the current law as is. You can read the description in 2016 Scorecard Bills. 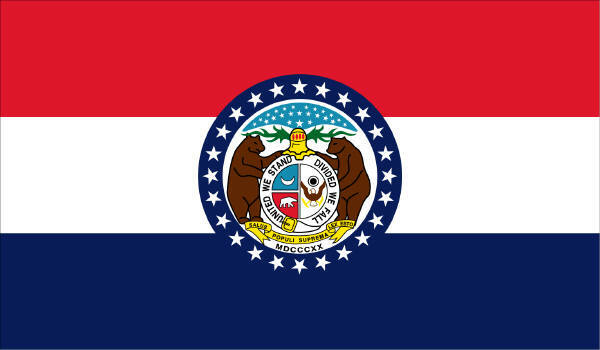 Bottom line, the bill gave retailers more control over their “shelf space” and provided at least some relief from Missouri’s antiquated liquor control laws. We scored it as a free market bill even if it was a small step. For that reason, the bill was the lowest weighted one we scored. Here are the legislators whose scores were impacted by voting NO. 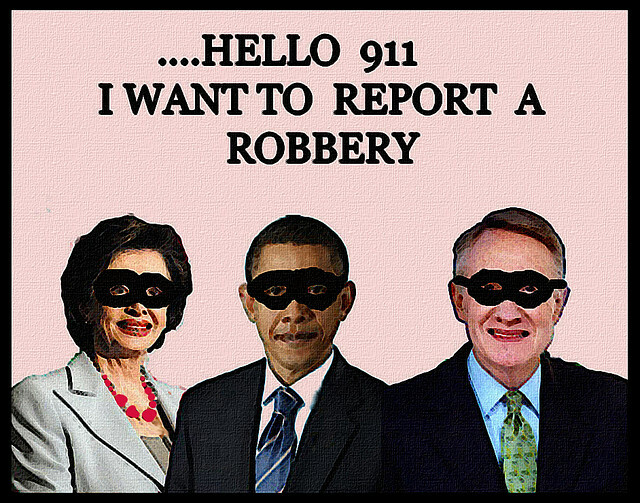 The Senate didn’t have any “pure” 100% members last year but this year they have three (3)! Senator Dan Brown would have scored 100% if it weren’t for the SB919 issue discussed earlier. Senator Rob Schaaf would have gotten a 99.9% if not for that vote too since he had an absence on a scored bill vote. 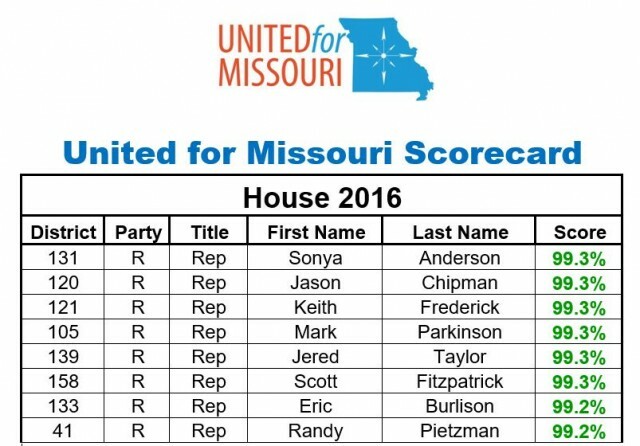 More details on the 2016 Legislative Scorecard are available in the following searchable files. PreviousDon’t Forget to Vote Today! NextWhat Do all those Amendments Do? Glad you asked!